Inventor of the chronograph Louis Moinet marks 200 years since its landmark creation with an ornate limited edition wristwatch. 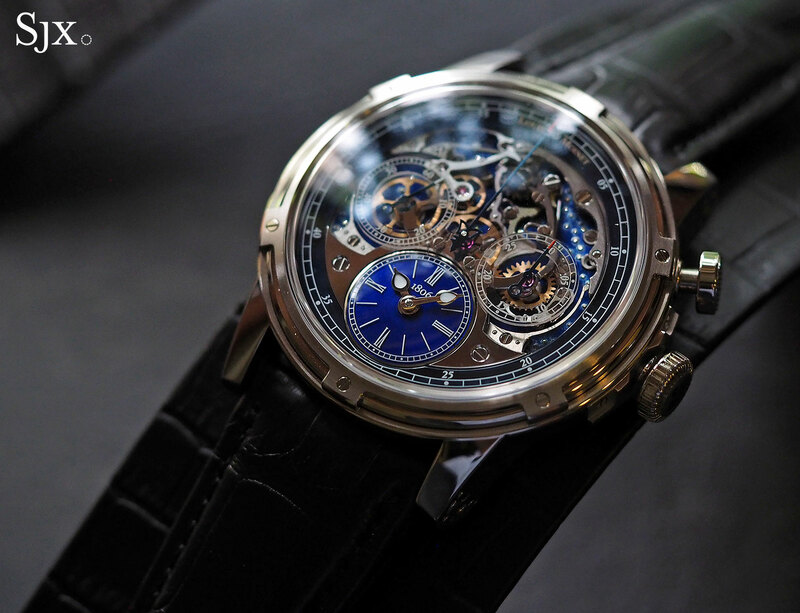 Louis Moinet was a 19th century French watchmaker who was a contemporary of Abraham-Louis Breguet, but whose name receded into history until the brand was revived in 2004. 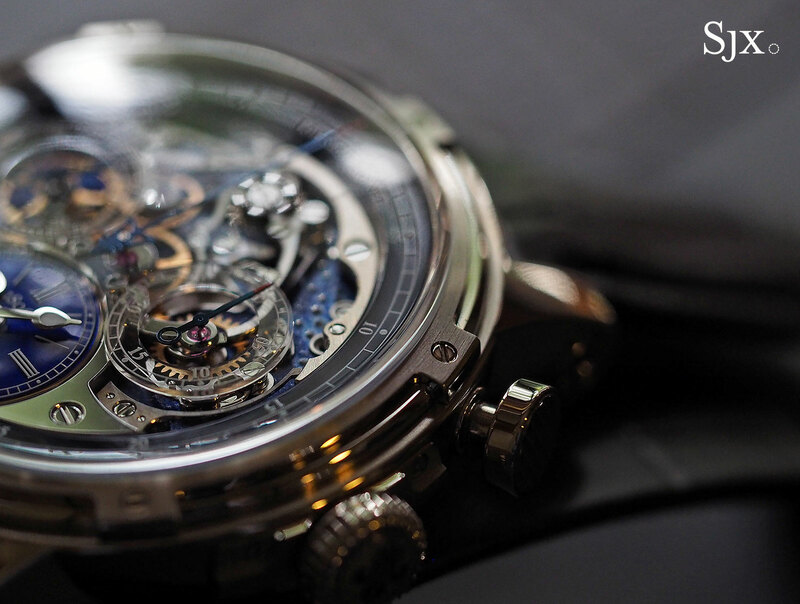 Louis Moinet’s greatest claim to fame, however, only came in 2013 when the brand’s owner discovered a chronograph capable to measuring a sixtieth of a second, created in 1816 to aid astronomical calculations. 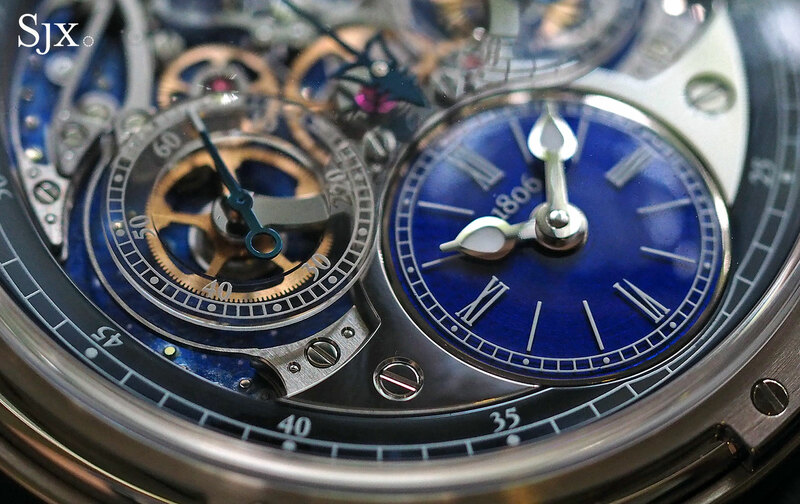 Known as compteur de tierces, or “counter of thirds”, the chronograph crowns Moinet the maker of the first known stopwatch, trumping the long held claim to the title by Nicolas Rieussec (and by extension Montblanc). Conceived to mark the two centuries since the landmark timepiece, the Memoris 200th Anniversary Chronograph is a more elaborate version of Louis Moinet’s signature chronograph that shows off the mechanics of the stopwatch on the dial. 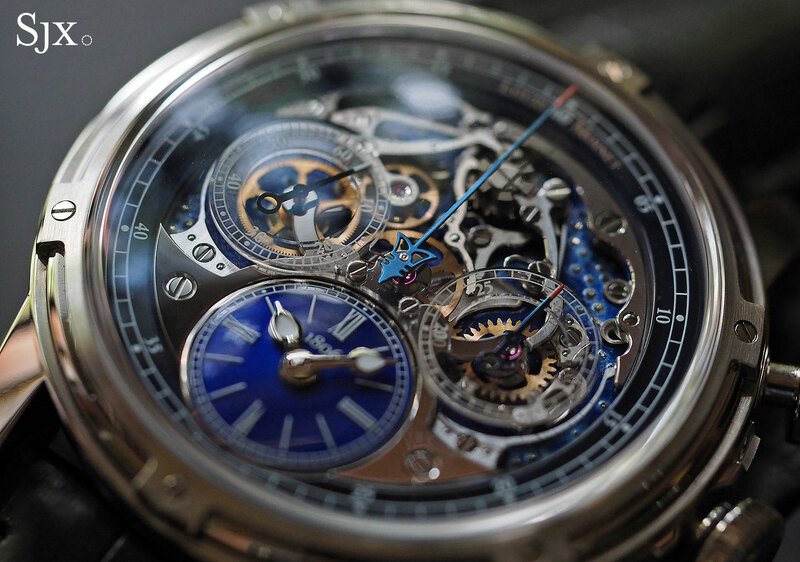 The premise of the original Memoris is simple: inverting the usual construction of a chronograph to have all the levers and gears of the stopwatch mechanism on the front. 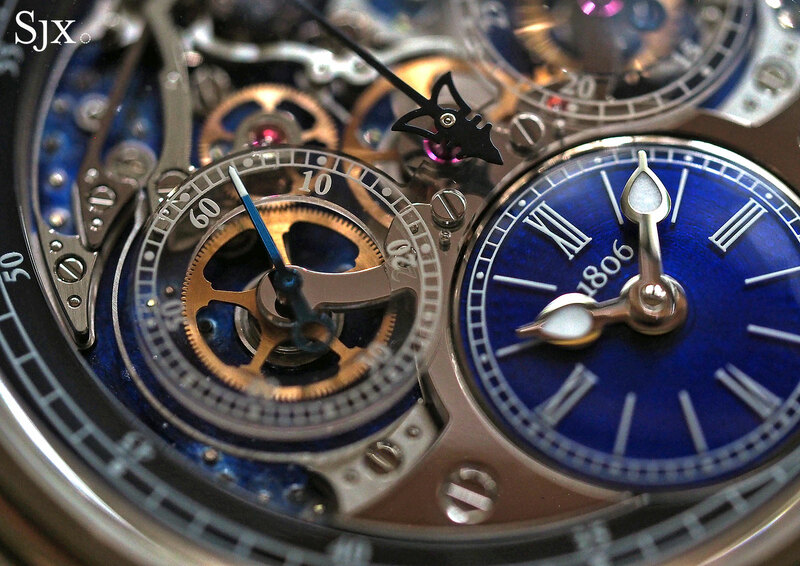 Most of the dial is occupied by the chronograph, with the time shown on a sub-dial at six o’clock. Though the layout is novel, the chronograph mechanism is traditional, with a column wheel as the on-off switch (visible at 12 o’clock) and a horizontal coupling to transmit power from the gear train to the chronograph. Three features distinguish the 200th Anniversary edition from the ordinary model, starting with the sub-dial for the time in deep blue vitreous enamel. Second is the main plate that’s engraved and lacquered blue to resemble a starry night sky. And to maximise the view of the chronograph works, the bridge for the chronograph registers is entirely clear. Though it resembles sapphire crystal, the clear bridge is actually made of another material that Louis Moinet says is top secret, though it is likely aluminium oxynitride (a ceramic material known as clear aluminium). The point of putting the chronograph on the front is to make a statement, but it also means little can be hidden. Fortunately, the movement decoration is competently executed, with the visible component finished properly. That means straight graining and bevelling for the chronograph levers, countersinks for the screw and jewel holes, and so on. The decor does not surpass the gold standard for modern chronographs set by the Datograph, but scores well. A chunky 46mm in diameter and 15.75mm high, the watch case is complex, seemingly for the sake of being complex. There are six screws holding down the bezel, four holding down the crown guard, three for each side of the lugs. While all of that is proof of the work required to put it together, the case style is ordinary, being large and round with thick lugs. One reason the watch is so large is the size of the movement, with the LM54 inside just over 30mm in diameter and almost 9mm high. 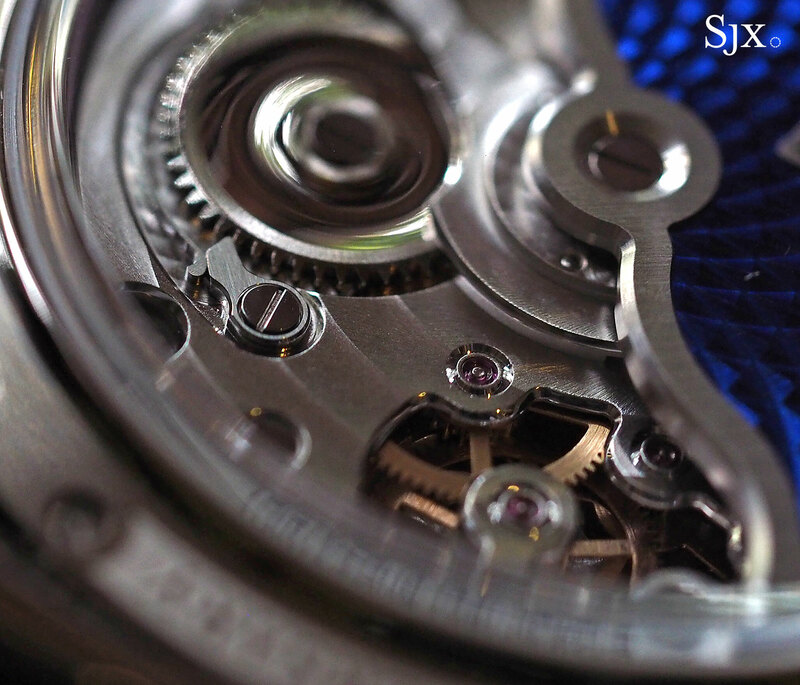 By comparison, the common Valjoux 7750 chronograph movement is 30mm wide and 7.9mm high. One factor behind the thickness of the height of the automatic winding mechanism, with a visibly thick rotor sitting on a bridge that holds the winding gears in place. 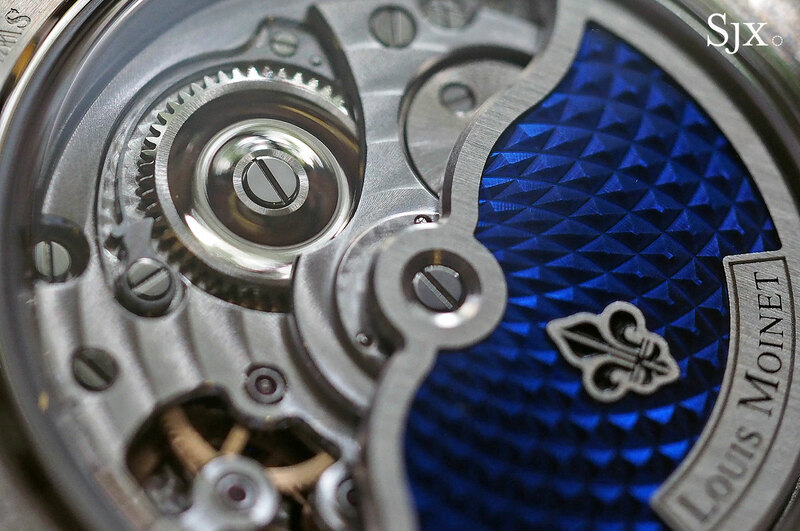 Interestingly, the winding mechanism is what Louis Moinet calls Energie Plus. It is actually a bidirectional winding system featuring twin pawls that is similar to IWC’s Pellaton mechanism, highly regarded for its efficient winding. But the Pellaton mechanism suffers from being relatively thick, something that clearly characterises Energie Plus as well. 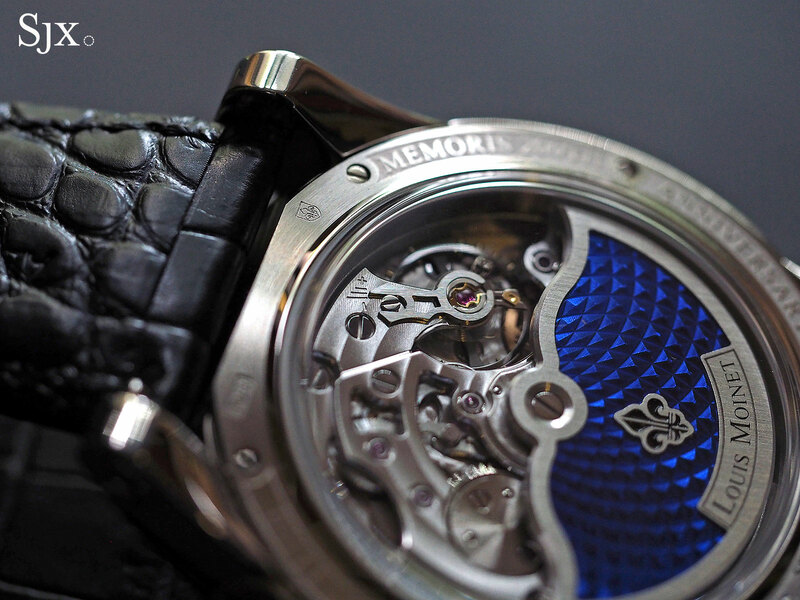 The calibre LM54 inside the Memoris is the result of a collaboration between Louis Moinet and movement maker Concepto. 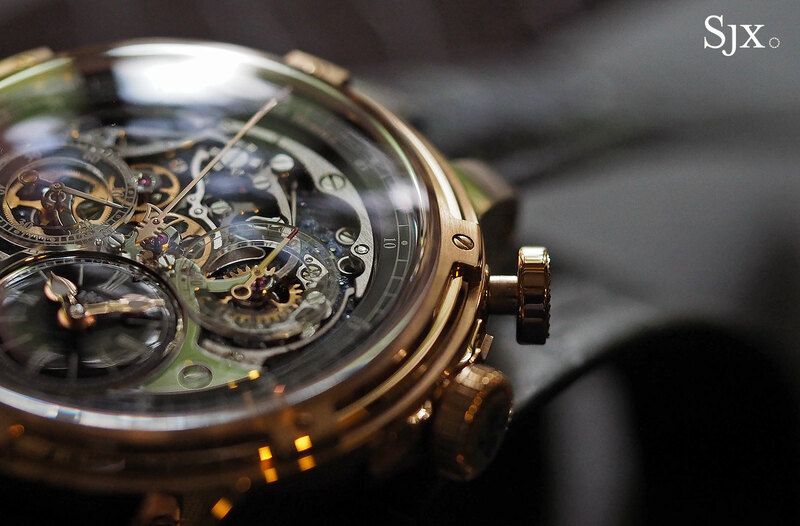 Based in the watchmaking town of La Chaux-de-Fonds, Concepto is best known for the tourbillon movements it supplies to brands as diverse as Romain Jerome and Bulgari. 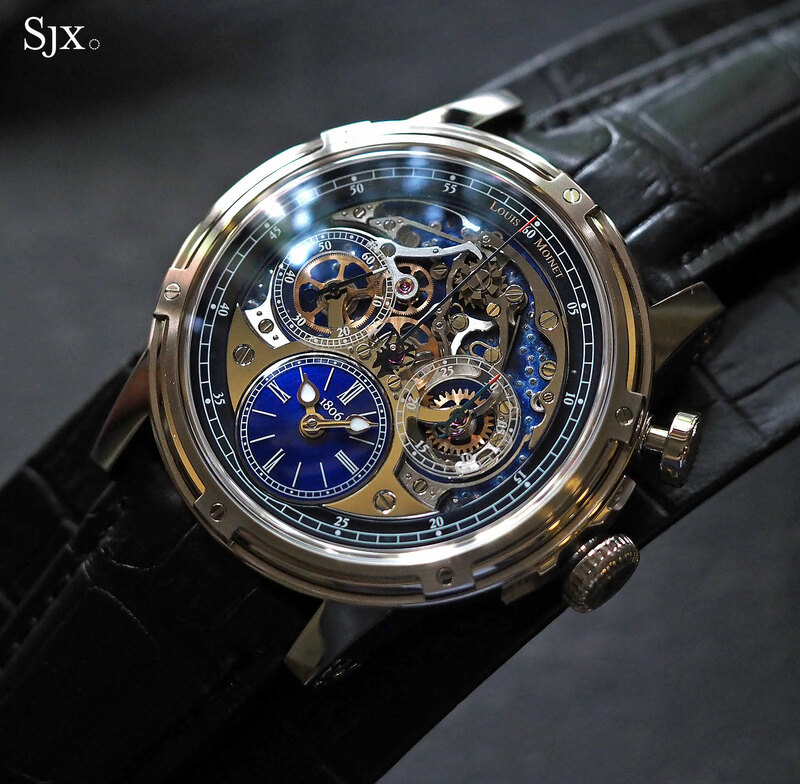 The pair have collaborated in the development of nearly all of of Louis Moinet’s movements, which are then produced by Concepto. Made specifically for Louis Moinet, the LM54 appears to use the Concepto calibre 2950 as a base, since the position of key components are the same on both. 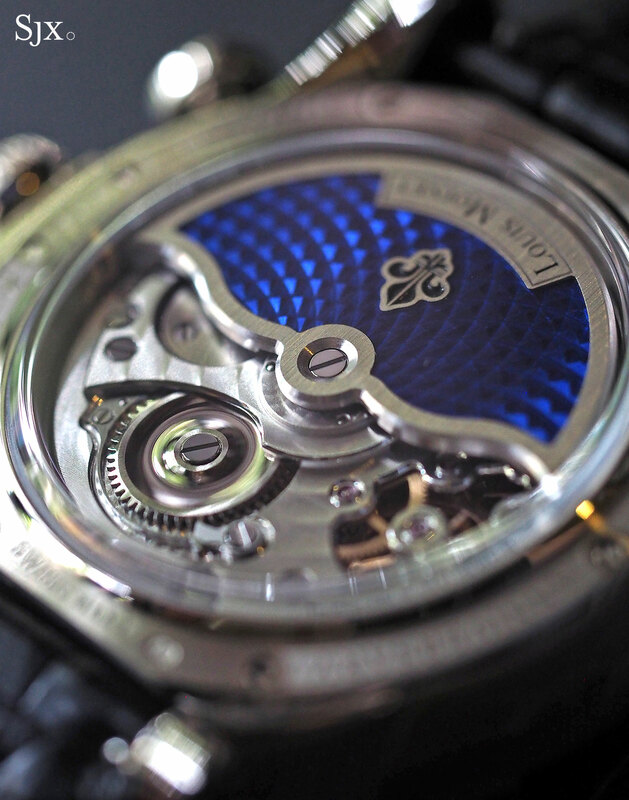 However, the representatives of Louis Moinet state that the LM54 is entirely original and developed from the ground up. On the back the movement is less compelling than from the front. The shape of the bridges are clearly modern, though certain details are beautifully executed, including the concave barrel ratchet wheel. Limited to 20 watches each in white and pink gold, the Memoris 200th Anniversary is priced at SFr69,000 or S$124,000, and is available at Louis Moinet retailers. 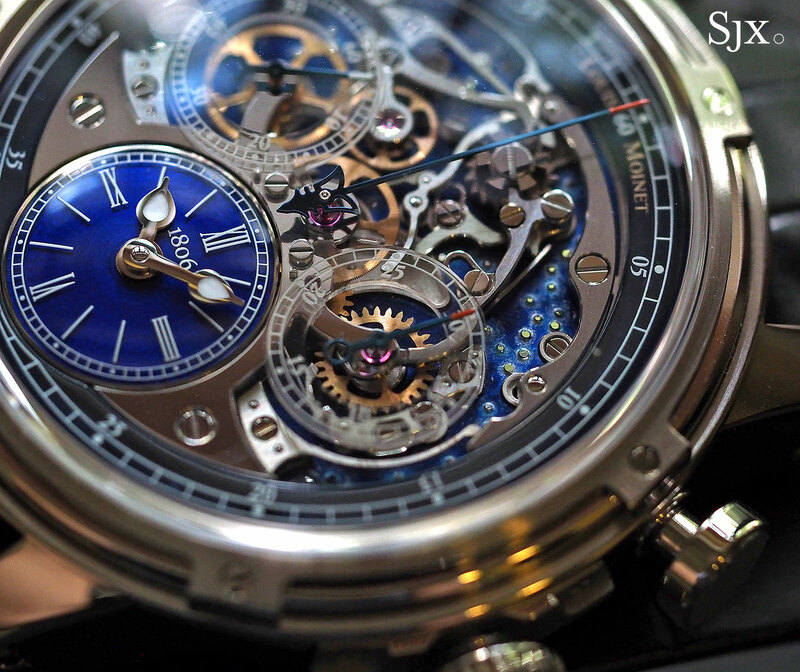 It’s almost 40 per cent more expensive than the ordinary Memoris. Update August 18, 2016: Edited to note Louis Moinet’s statement that the LM54 movement is entirely original.